Are you thinking of buying or renovating a home that was built prior to 1978? Will there be (or is there) a pregnant woman living in the home? Will there be (or are there) children under the age of 6 living in the home? You need to think about the risks of lead poisoning! Lead-based paint was used extensively in residential homes until it was banned by the government in 1978. 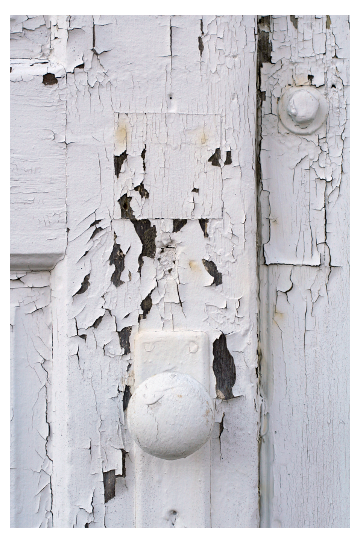 Normal aging of the home can dislodge particles of this lead-based paint which then become airborne and inhaled. Small children can also swallow particles of lead-based paint from window sills or even from chewing on toys that have been near lead-based paint. During a renovation, large amounts of lead-based paint could become dislodged and airborne, therefore it's critical to test for lead-based paint and ensure that all necessary precautions are taken during the renovation. Our company provides two levels of service for identifying lead-based paint. Option 1: A lead-based paint risk assessment is usually performed to identify any current or possible future paint hazards. This includes a visual inspection of the property for failing paint because of normal aging. Dust wipes are also collected to determine if the current paint condition and cleaning methods are enough to prevent exposure. In addition, paint sampling of any area that has failing paint, or paint that will be disturbed during a renovation, is done with the use of an X-ray fluorescence (XRF) machine. This service also includes a comprehensive assessment report. Option 2: Our lead-based paint visual assessment and inspection includes all of the above, except that dust wipes are not normally collected because extensive XRF readings are taken instead. The XRF readings are performed on a "surface by surface" basis (which includes almost all locations within the home such as ceilings, walls, floors, doors, windows, etc., regardless of the condition of the paint). This service also includes a comprehensive assessment and inspection report. We also recommend treatments for the problem to help you manage a lead-based paint hazard now, and in the future, to keep you safe from lead poisoning!